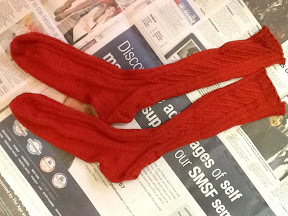 amour-fou-socks: No home for these! I went for the easy option and made toe up with a little panel down the sides. They are ladies' medium size and looking for a good home! On on to the next pair!